János Kornai, the renowned Hungarian economist, Professor of Economics Emeritus at Harvard University and Corvinus University of Budapest, has written a new paper about the situation in Hungary. He notes that the main direction of the changes up to 2010 was progress toward democracy, the rule of law, and a market economy based on the dominance of private ownership. Hungary is the first, and so far the only, member of the group of 15 post-socialist EU member countries to execute a sharp U-turn and set off resolutely in the opposite direction. The country has shifted from democracy to autocracy. The final version of this paper will be published in the October issue of Journal of Democracy. I’m grateful to Professor Kornai for allowing me to share this prepublication working paper with the readers of Hungarian Spectrum. Hungary is a small country, poor in raw materials, with a population of only 10 million. No civil wars are being waged on its territory, nor is there any popular uprising or terrorism. It has not got involved in any wars, and it is not threatened by immediate bankruptcy. So why is it still worth paying attention to what is going on here? Because Hungary – a country that belongs to NATO and the European Union – is turning away from the great achievements of the 1989-1990 change of regime – democracy, rule of law, free-working civil society, pluralism in intellectual life -, and is attacking private property and the mechanisms of the free market before the eyes of the whole world; and it is doing all this in the shadow of increasing geopolitical tensions. Let us consider the ensemble of the following countries: Albania, Bosnia-Herzegovina, Bulgaria, the Czech Republic, Estonia, Croatia, Poland, Latvia, Lithuania, Macedonia, Hungary, Romania, Serbia, Slovakia and Slovenia. All of these now independent countries reached a crucial turning point in 1989-1990. Previously, they had functioned as independent states or as separate parts of states within the socialist system, ruled by the Communist party. Then the change of system started. The structure and pace of the transformations varied from country to country. Severe failures occurred in all of them, including Hungary; one step forward was often followed by a period of regression. However, despite the colorful variations, the main direction of the changes was common up to 2010: progress towards market economy based on the dominance of the rule of law and of private ownership. Hungary is the first, and so far the only, member of this group of 15 countries which has performed a sharp U-turn and set off resolutely in the opposite direction. At the 2010 elections the coalition formed by Fidesz – Hungarian Civic Alliance with the Christian Democratic People’s Party (henceforth Fidesz for short), led by Viktor Orbán, won a landslide victory. That was when the turn began. By 2010 the fundamental institutions of democracy had been established in Hungary – however, with the U-turn their systematic destruction started. It has already been completed to a significant degree. In actual practice the executive and legislative branches are no longer separate, as they are both controlled by the energetic and heavy hand of the political leader who has positioned himself at the very pinnacle of power: Viktor Orbán. No worthwhile preparatory work on bills is being done either within or outside the walls of Parliament. Parliament itself has turned into a law factory, and the production line is sometimes made to operate at unbelievable speed: between 2010 and 2014 no less than 88 bills made it from being introduced to being voted on within a week; in 13 cases it all happened on the same or the following day. Without exception, every single attempted investigation of the background of a scandal that has just broken, which would have been carried out objectively by a parliamentary committee with the effective involvement of the opposition, has been thwarted. ‘Reliable’ people close to the centre of power occupy decision-making positions even in organizations which are not under the legal control of the executive branch and which, in real democracies, should serve as a counter-balance to monitor the executive and legislative branches: in the constitutional court, the state audit office, the fiscal council, the competition authority (the office in charge of enforcing pro-competition laws), the ombudsman’s office and the central statistical office, as well as the national tax and customs office. The basic institutions of the rule of law had emerged by 2010; however, since the U-turn they have been abolished or significantly weakened. The new Hungarian constitution was drafted by a small group within Fidesz, and no wide public discussion ensued. All protests were completely ignored, and it was dragged through the defective filters of the law factory in very short order. The text abounds with shortcomings, which were pointed out immediately (and in vain) by outstanding Hungarian and foreign legal experts. It contained so many clauses which served the immediate political purposes of the people in power that the document, officially called ’Fundamental Law’, has had to be amended five times. In 2011-2013 the Fundamental Law was complemented by the passing of 32 so-called ‘cardinal laws’, which future parliaments will be able to modify only by a two thirds majority. This collection of laws almost completely covers every aspect of the country’s life. One of the fundamental principles of the rule of law is that no-one, not even those who hold the most power, should be above the law. The law must be respected. In Hungary, the situation has changed: the holders of power are able to elevate any decision to the status of law quickly and without let or hindrance, at the push of a button. They pass retroactive laws, disregarding the prohibition of such legislation which goes back to Roman times. If they wish to arrange especially generous treatment for an individual or an organization, they pass laws using legal tricks which ensure de facto favoritism. Moving on to the juridical branch of the state, the Prosecution Service is a centralized organization in Hungary. It is theoretically independent, not under the control of the government. In practice, however, and that is what is important, the chief prosecutor is chosen by the holder of supreme power, followed by a purely formalistic appointment by the parliament, which from then on is unable to effectively control him. The chief prosecutor executes the central will through the hierarchy that he heads. With a few insignificant exceptions, the investigation of all public scandals and cases of corruption involving individuals close to the present government party has got stuck in either the investigative or the prosecution phase of criminal proceedings. The Prosecution Service has, on the other hand, brought its full powers to bear on other economic scandals and cases of corruption in which people belonging to the current opposition are implicated. Dramatic, spectacular arrests are carried out for the benefit of the cameras, which arrive in droves. Compromising facts are often leaked while investigations are still in progress. No effort is spared to make sure that these cases come to court, though it is true that all too often charges have to be dropped in the prosecution phase, for lack of sufficient evidence; in other cases the charges are rejected by the court. And it is noticeable that the timing of a leak, of the bringing of charges or of a court hearing coincides frequently with some event on the political calendar: the mine which will destroy a rival’s reputation is detonated just before an election. We seem to be witnessing a decided attempt by the ruling political group to take control over the courts as well. The President of the Supreme Court, who had been appointed before 2010, was dismissed early, before his mandate expired. A new institution emerged, the National Office for the Judiciary, which from the very start acquired exceptionally wide powers: not only to appoint judges, but also to decide which cases should be heard by which courts. Later, as a result of protests in Hungary and from abroad, the sphere of authority of Office was reduced, but its influence has remained significant. The retirement age fixed for judges was conspicuously different from average age limits and from the previous norms, with the result that the older generation was expelled. This affected several judges in leading positions within the judiciary system, who had been appointed before the present ruling group came to power, and although this measure was subsequently annulled by the relevant international court, so that the people involved obtained at least moral redress, most of them were not able to return to their previous leading positions. Numerous members of the judiciary are unable to escape from the intimidating effect of the government’s measures. Some cases which come to court have political ramifications, and impartial experts in the field believe that some judgments are biased in ways that favor Fidesz policies. Nobody ventures to express an opinion about the number of cases involved. What is sure, however, (and encouraging) is that the ruling regime has not managed to subjugate the judiciary to the same extent as they have done in other spheres. By 2010 private rather than state ownership had become the dominant form of ownership. Since the U-turn, however, private property has become the target of frequent legal, economic and ideological attacks; the weight and influence of the state sector is rising again. The nationalization of private pension funds financed from the obligatory contributions of employers and employees, which was carried out using unique legal tricks, dealt a heavy blow to the principle of respect for private property. A similar form of indirect nationalization took place in the sector of saving and loan cooperatives. The state-owned sector has expanded significantly in the branches of banking, energy, public works, transportation, the media and advertising. In these areas the harsh means of disguised confiscation were not so often applied: property rights were bought instead. In many cases the previous owners were forced into a position where they felt they had no other option but to sell their property to the state, and at a price well below its market value. Up to 2010, decentralized mechanisms played an increasing role in the coordination of various activities. However, since the U-turn the tendency to centralize has become noticeably stronger. This is primarily true of government administration. One of the major achievements of the change of regime was a significant increase in the powers of local government. The most obvious sign of regression is the fact that schools and hospitals no longer belong to local authorities, but are run from the bureaus of the central government. It is unprecedented – even on a world scale – that a misshapen bureaucratic giant has emerged, which decides over the heads of teachers, parents and local governments about staffing, curricular and financial matters in thousands of schools. The obsession with centralization, which is intertwined in many ways with the aforementioned tendency to nationalize, affects almost all spheres of society: more and more questions are decided at the highest level. A pyramid-like vertical hierarchy has emerged and solidified, with the supreme leader at its summit. Below him, ready to obey his every command, stand his hand-picked henchmen, who owe him unconditional loyalty. Moving on down, we find the next level of the pyramid, and the next: for each position people are chosen for their loyalty to the regime. Commands which take obedience for granted tightly bind each subordinate to his or her superior. It is only the leader at the top who does not depend on his superior, only those at the very lowest level do not give orders to anyone. Everyone else incorporated into the levels in-between is servant and master at the same time. It is in their interests to hang on in there, to move further up in the pyramid. Their position is not decided at elections, but depends on winning the trust of their superior by services and flattery, or at least by uncritical obedience. Hundreds of thousands of public employees, including those who work in the state-run educational and health sectors, feel defenseless: few dare to speak up, to protest, because they fear for their jobs. The regime is robust, partly because it can surely count on the fear of the majority of people dependent on it, as well as on the ‘keep a low profile and obey’ mentality. A very important decentralized mechanism is represented by civil society, a number of non-market based organizations and associations which are outside the control of state bureaucracy. In twenty years these have developed too, and have also become a means of scrutiny without which it would be impossible to expose and fight abuses of power. One manifestation of the U-turn is the methodical harassment of civil society. When parliamentary bills are being drafted trade unions and other relevant organizations are not consulted. Or if the people concerned express their point of view, in declarations or at demonstrations, their voices are disregarded. The indignant protest of the Norwegian government against the Hungarian government’s plans to interfere in their generous offer of assistance to Hungarian civil society is widely known. While describing the processes of reversal I did not discuss the causes that induced the U-turn. There were several important factors here: the grave mistakes made by the governments between 1990 and 2010 and the political parties functioning within and outside the parliament, the spread of corruption, the trauma caused by the appearance of mass unemployment, the increase of social inequality and the disappointment of a large proportion of the population after the high expectations brought by the change of system. It takes a long historical process for democracy to mature, and Hungary has just begun that learning process. It would be essential to complete a thorough causal analysis of the historical past; this, however, exceeds the limits of this paper. Therefore I will only deal with the new period starting with the 2010 elections. When describing the coordinating mechanism of economic activities we cannot apply the metaphor of the U-turn: it would be more precise to call it a half-turn. Market mechanisms became dominant in Hungary in the first two decades after the change of system, and remained so even after 2010. Just as before, state and market continue to coexist in a symbiosis: there is no modern economy where these two social formations would not coexist and exert reciprocal effects. The change that Viktor Orbán’s regime introduced is that now the state impinges on the economy in a much more aggressive fashion than the governments before 2010 did: it exerts more efforts to rule over it. This is done in many ways. We are not talking about a case of ‘state capture’ carried out by a small group of oligarchs in order to establish regulations and pass measures in their own interests. The direction of the process is the reverse. Orbán and the people who are close to him at the peak of political power decide who should become an oligarch, or who should remain an oligarch if he already is one, and how far his sphere of authority should extend. Something similar takes place at lower levels too. The natural selection of market competition is overwritten by political considerations. “The important thing is that our man should win the public procurement tender, get permission to run a tobacconist’s or a casino, obtain tenure of that state-owned piece of land”. Tobacconists, casinos and land tenure all work on capitalist principles, but at the same time clientelism, a kind of feudal master-servant dependency, is asserted between the politician/bureaucrat and the capitalist entrepreneur. A new term has been introduced into everyday Hungarian: ‘Fidesz-közeli cég’, meaning ‘a near-to-Fidesz company’. Such firms do not belong to the party, but the sole or principal owner of the company is a crony of the political center. Maybe the association began a long time ago, at university or when the party was founded; or an individual’s career may have included a succession of political, bureaucratic and business activities. ‘Crony capitalism’ evolves. The intertwining of the worlds of business and politics is a global phenomenon, and provides fertile soil for corruption everywhere. What comes on top of this in Hungary is the social environment created by the aforementioned U-turn: the very organizations which should be fighting, with the authority of the state behind them, against the intertwining of business, politics and government and against corruption are not independent: they themselves are cogs in the same machinery. Just like any member of the Mafia, a corrupt politician or bureaucrat knows that the Mafia state will protect him – unlike the ‘whistleblowers’, who take personal risks to unveil corruption. The latter are not sufficiently protected, but often harassed, and even ‘character assassination’ campaigns are launched against them. Viktor Orbán and those who implement his economic policies are swift to emphasize that if the state needs more income this will not be a burden for the people, and there will be no ’austerities’. The new tax will be paid by companies, out of their profits. The word ‘profit’ itself has as bad an undertone as it did in the good old times when Marxist political economics was an obligatory subject for study. Above the usual forms of taxation special supertaxes have been used to pillage whole sectors, especially banking but also telecommunications, insurance, houehold energy supply, and a few other sectors. The effect of special taxes contributes to the fact that the volume of investments by private companies financed from their profits stagnates or barely increases. An unpredictable tax policy, legal uncertainty and anti-capitalist rhetoric discourage the ’animal spirit’; the propensity to private investment. The extra-ordinary tax burdens ensure that the budget is balanced, which is reassuring for international organizations and credit rating agencies who are extra-sensitive to this indicator, but it does undermine an extremely important factor promoting growth and technological development. Moreover, it is not true that the extra burdens hit on the companies only, as they pass the extra costs, if possible, to the consumers. While companies are held to ransom, the individual tax burden based on dividends has been significantly reduced. One of the first measures introduced by the Fidesz government was the abolition of progressive personal income tax, which was replaced by a flat rate of 16 percent, while at the same time value added tax was raised to an unprecedented 27 percent. It is known that in relation to the income of a given household, these tax rates impose a much greater burden on the living standards of people with low incomes than on those who earn more. Government propaganda proclaims as a great achievement the reduction of household expenditure on utilities through price-cap regulation. In reality, this price-capping policy is far more beneficial for the rich, as the bigger the flat, the more electricity, gas and water it uses, and the more rubbish it produces, the more it saves. We are all too familiar with the consequences of artificially depressing prices from the days of socialism. Companies make a loss, which in the end has to be scraped together by the community of tax-payers. Restricting the functioning of the price mechanism is an important feature of the general phenomenon which has just been discussed: the state leans heavily on the private sector, using, among other means, administrative micro-interventions, fine-tuning of control and excessive regulation. Every economist who has studied the theory of market failure knows that appropriate regulation and well-aimed intervention can correct many problems caused by an uncontrolled market mechanism. This theory, however, at least tacitly, supposes that the state is at the service of public interests, and that regulation is carried out professionally and without bias. What happens if the levers of regulation are seized by incompetent or even corrupt people? What happens if a state whose masters use the state mechanism to preserve their own power interferes in the economy? Such interventions happen so frequently and affect the coordination process of the economy so deeply that sooner or later the half-turn can become a U-turn in this field as well. The economic policy followed by Fidesz cannot win the approval of the conservative economist because of the upheaval that it causes to market mechanisms and the way it threatens private property. At the same time, it arouses rightful indignation in the liberal economist who is sensitive to the injustice in the distribution of income. It is not only the tax policy mentioned above, but various other measures must be disagreeable for them. The adherents of Keynesian economic policy must not let themselves be deceived by aggregate employment statistics. The revival following the depression is dragging its feet, the private sector is creating few new workplaces. The growing number of people in ’public work’ is supposed to make up for that. But they are employed for rock-bottom wages, 31-33 percent of the average salary, under degrading circumstances; they are not guided into the employment market this way, but kept permanently in their humiliating condition. Poverty and social exclusion are increasing at a dramatic rate. Enlightened societies would never tolerate the tone of voice that is used to stigmatize the poorest, or the way the homeless are chased out of cities by mayoral decree. Any attempt to squeeze the classification of the Hungarian government’s economic policy into boxes labeled ’right wing’ or ’left wing’ is off-track. There is no question of the government intending to restore the socialist system, even though some phenomena are surprisingly reminiscent of the socialist era. The Orbán regime is not only compatible with capitalism, but each member of the power pyramid uses the opportunities offered by capitalism to their own advantage. When they launch an attack on banks or other sectors, they immediately conclude a special deal with this or that bank, sign ’strategic agreements’ with this or that large company in front of television cameras. ’Divide and rule!’ Instead of the left-right division, let us put the economy into another kind of spotlight: what best serves the survival of the existing power structure, the power of the central will, the interests of the higher levels of the power pyramid, including their financial interests? Suddenly it all falls into place and we know why this new institution or that new law emerged. Hungary’s friends abroad, intellectuals, journalists, political and economic analysts, diplomats and politicians who take an interest in the happenings here, do unintentionally fall into various traps or misunderstandings. One of these is to overestimate the value of the letter of the law. At first, the Fidesz government created a law which failed to guarantee the complete independence of the central bank. Not only the media, but also the competent international organizations exerted pressure on the Hungarian state to change the law. This finally happened. Those who had demanded the change felt they had achieved success. The propagandists in Budapest used it to illustrate how flexible and ready to compromise the Hungarian government is. In reality, what happened to the law was irrelevant. Having resigned from his position as minister of finance György Matolcsy, who the prime minister publicly dubbed “his right hand”, stepped out of the ministry, walked a few hundred yards and entered the doors of the Hungarian National Bank, as its theoretically independent governor. Without exception, every single member of the highest body of the central bank, the Monetary Council, was hand-picked by the supreme leader and his advisers; they are all loyal members of the consolidated machinery of power. According to the letter of the law, every single selection process conforms to various seemingly neutral legal regulations. For example, for one position the current Prime Minister nominates a candidate, the competent parliamentary committee expresses an opinion, and he is appointed by the President of the Republic. For another position the parliament not only expresses an opinion about the candidate, but also makes the final choice. Does this matter? The parliamentary committee, the majority of the complete session of parliament (a two thirds’ majority, at that), and even the President of the Republic are all cog-wheels in the same machinery of power. Another important example is how the regime leans on the press, television, radio and other means of telecommunication. This is about nothing less than the independence of the ‘fourth branch of power’, the liberty of one of the most important checks and balances which function in real democracies. The competent bodies of the European Union and the international press dwelled at length upon the question of whether the rights allocated to the centrally appointed media authority were excessive or not. Finally, a few regulations of the law on the media were amended. The critics considered this a victory. Viktor Orbán and his colleagues, however, knew perfectly well that it was irrelevant. What really mattered was the fact that they had put their own people in charge of all television channels and radio stations owned, controlled and financed by the state, who then purged their staffs and turned all of them into the collective mouth-piece of government propaganda. The government or near-to-Fidesz entrepreneurs seized the freely distributed and very popular advertising broadsheets and other free local media products. The state media are obliged to use material provided by the news agency controlled by the government. This is not obligatory for the country’s privately owned media, but the latter are offered new state-produced material free of charge, while purchasing news from independent international agencies or trawling the foreign press is expensive. It is hardly surprising that they are reduced to using the free material. Self-censorship, a form of behavior all too familiar from the communist era, is becoming widespread. There are newspapers, television channels and radio stations which are independent of the government, and critical of it. This is very important; it is part of the impartial description of the present Hungarian situation. However, many obstacles are raised to their functioning, for example during the distribution of broadcasting frequencies, when licenses are granted. Their main source of revenue is advertising. Not only the government’s own agencies, but also private companies which wish to maintain friendly relations with the political masters refrain from advertising with them. Discrimination manifested in the advertising market has been compounded by an advertising tax piled on top of the existing corporation tax. The relevant decrees were worded in such a way that 81 percent of the advertising tax was to be paid by one broadcaster, RTL, even though its share of the advertising market is only 15 percent. This is how one company has been punished for its dogged independence and regular criticism of Fidesz politicians. No matter how hard the authorities try to subdue the organizations which form public opinion, the IT revolution has made their task more difficult. Stalin was able to surround his empire with almost impenetrable barriers, but nowadays this is impossible: computers, tablets and mobile phones connect the individual with the world through the internet, hundreds of thousands can express their opinions and organize themselves on social networking sites. The Fidesz government would love to find a way to prevent this too. Not long ago it proposed the introduction of an internet tax. Each gigabyte data transfer would have been taxed to the tune of 150 forints (roughly 55 USD cents). Within a few days, mass demonstrations had been organized; images of the protesters circulated in the international press. Viktor Orbán retreated – half-way: as I write these lines it is not yet clear if the plan has been abandoned for good or merely postponed. Whatever may happen, the image of tens of thousands of demonstrators raising their mobile phones to the sky has become a symbol. The light from the tiny screens might even have illuminated the clouds of the internet – today no regime is able to raise impassable barriers to the flow of free speech. Here is another frequent intellectual fallacy: certain recently established Hungarian institutions, or new procedures that have been introduced lately, are similar or even identical to the parallel institutions of a traditional Western democracy – at first sight. Many changes have been made in the Hungarian judicial system. What is wrong with that? After all, even after these recent changes, in many ways it still resembles the systems of some European countries. The tobacco trade used to consist of small shops competing with each other. Now only the government is allowed to issue a license for the sale of tobacco. What is wrong with that? After all, in Sweden a state monopoly with similar or even greater powers covers the trade in alcoholic beverages. What we have is a mosaic, many pieces of which are original Hungarian products, while others have indeed been imported from democracies abroad. However, if we look at the mosaic as a whole, the outlines of Viktor Orbán’s Hungary emerge. It is actually better to move away from the static image of a mosaic to represent the relationship between ‘part’ and ’whole’. It is not a fixed state that we have to interpret, but a dynamic process. What we have to recognize is the direction that has been followed by each small component of the machinery since the starting point in 2010. From then on, at every new change, we, the observers, must notice which direction the change has taken. In the US, the mandate of the members of the Supreme Court lasts for the rest of their lifetime. There, this regulation has emerged within the framework of a stable democratic order, with many checks and balances in operation. In Hungary, on the other hand, for the first time now the vast majority of members of the Constitutional Court were chosen by the current prime minister – and in a few years all the members, without exception, will be Viktor Orbán’s nominees. If their mandate, is being extended right now, this move, along with other similar moves, will shift the legal status of the country towards irreversible power relations. Thousands (yes, the number is no exaggeration) of discrete changes, all moving together in the same direction, create a new system. Understandably, the Budapest correspondent of a foreign newspaper might write about only one outrageous measure without putting the event into the whole context of Orban’s system. An international organization or a foreign government might be justified in protesting against a specific measure taken by the Hungarian government, and in trying to exert its influence to have this measure modified or withdrawn. This article is intended to help those who form public opinion abroad and those who plan and implement measures taken in the world outside that concern Hungary to a better understanding that more is at stake than a momentary event: this is now a strongly forged system, whose essential properties cannot be altered by partial modifications. Another intellectual fallacy is the faulty evaluation of the legitimacy of the Orbán government. “Although I don’t like what is taking place in Hungary, it seems to be what the Hungarians want.” This opinion is further reinforced by the official propaganda, which is busy announcing that the regime won a two-thirds majority for two successive parliamentary cycles; there is no other government in Europe that enjoys such strong support. Yet let us take a closer look at the facts. At the last election only every fourth person entitled to vote expressed the wish that Viktor Orbán and his party should govern the country. The others either voted for another political faction or expressed their weariness and disappointment in politics by abstaining. By staying away perhaps some people wished to indicate that they found the regime repellent, but they did not believe that their vote would bring about any change. Political legitimacy is not a binary variable: no government is simply either legitimate or not – but measured against the continuous scale of legitimacy, support for the Hungarian government is low. The election system itself, introduced after the change of regime, has offered the opportunity for a considerable difference between actual political support and the proportions among the representatives. That gap has further widened as since the 2010 elections the electoral laws have been modified seven times; while Fidesz lost more than half a million votes, and the fraction of all eligible voters who voted for Fidesz dropped from one third to a quarter, the regime used legal tricks to maintain a proportion of deputies which is higher than the critical minimum needed to pass laws requiring a two-thirds majority. There is another intellectual trap connected to the misinterpretations that I have just mentioned; those who have fallen into it may see the Hungarian state of affairs thus: “It is true that the Fidesz regime has abolished many democratic achievements. However, the present form of government must still be considered a democracy.” At this point the debate about what we call ‘democracy’ begins. There is no consensus between academic political philosophers and political scientists. The terminology used by people who are actively engaged in politics is interwoven with elements of political rhetoric. Where the term ‘democracy’ is an honor, the status of democracy is awarded or denied to the Hungarian form of government by the journalist, political analyst, politician or diplomat according to whether they hold a favorable or an unfavorable opinion of the present Hungarian system. The terminological confusion remains even when ‘democracy’ receives a defining attributive. The expression ‘illiberal democracy’ was originally introduced to political science with pejorative connotations, while Viktor Orbán uses the term ‘illiberal state’ with self-assured pride to describe his own system. Let us look at the set of previous and present historical forms of government that have characterized recent history. In one group we find democracies. Members of the European Union before its expansion, the US, Canada, Australia, New Zealand, Switzerland and Israel surely belong to this group, and as far as this article is concerned the question of which other countries might also belong can be left open for the time being. What is sure is that the essential common features do not exist only in theoretical texts, but can actually be experienced. ‘Checks and balances’ are not merely requirements supported by arguments put forward by political philosophers – they really do exist, and their functioning can be experienced by observation. We can say the same about respect for minority rights; there are written and unwritten limits to what the majority, however large it may be, can do against the will of the minority. We could go on listing other important common features. In the other group we have dictatorships. For me, and for several hundred million other people, this is no abstract theoretical concept: it is a cruel, personally experienced reality. Thirty years ago 28 countries belonged to one kind of dictatorship: totalitarian communism. In between the two extremes, the set of all kinds of governments includes a subset; countries which belong here are neither democracies nor dictatorships, though they bear characteristic features of both. In my own work I have joined other authors in calling them autocracies. This class is made up of a colorful multitude: I would place in it the pre-war regimes of the Hungarian regent Miklós Horthy and the Polish statesman Jozef Pilsudsky, or that of the Argentinean president Juan Domingo Peron in the post-war era. In our own time, besides the Russian president Vladimir Putin, the leaders of Belarus and many Central Asian post-soviet states rule over countries which belong to this subset. I believe that under Viktor Orbán Hungary has moved from the subset of democracies into the subset of autocracies. I am not talking in the future tense, about the danger of the country becoming an autocracy. The move has already taken place: the change has happened. To consider Orbán a dictator would be to misunderstand the present Hungarian situation. Hungary today has a multi-party system, opposition parties function legally, newspapers opposing the government can be published. Political opponents are not imprisoned en masse; nor are they liquidated. We know all too well what real dictatorship is; we have experienced it, and what we are experiencing now is not that. However, to believe that Orbán is the leader of a democracy, and that although he breaks the rules of democracy from time to time, in the end he still behaves like a democrat, would also be a misunderstanding. I do not even want to raise the question of whether Orbán, in the depths of his heart, is a true democrat or not. This may be an important question for his future biographer, but it is irrelevant for our analysis. We have to investigate what has actually already happened. And what has already happened is enough for us to say that Hungary now belongs to the wide subset of autocratic countries that are “neither democracies nor dictatorships”. It would be a mistake to believe that Orbán is copying Putin. All autocracies are built on different historical traditions; they have emerged in different domestic and international environments, and the personalities and aspirations of their highest leaders differ. Orbán is not an imitator of others, he is a self-determining personality. This does not alter the fact that both the Putin and the Orbán regimes belong to the same subset of autocracies. Hungary is the first of the post-socialist democracies that has joined the autocracies, but there is no guarantee that it will be the only one. The balance of power might shift in other countries in such a way as to turn them into autocracies. There are foreign politicians who see Orbán as a model; there is a real danger that this contagion, leading to the loss of democracy and of the rule of law, will spread. One of the sources of Viktor Orbán’s support is the fact that many see him as the staunch defender of the sovereignty of the Hungarian state, and of Hungary’s independence. However, anyone who wishes to understand the Hungarian situation must realize that the problem cannot be shrugged off by simply labeling Orbán as a nationalist. Worldwide, we can see two opposing tendencies. Globalization, the internet, the technical ease with which we travel, the emergence of transnational integration are all making the world more international. At the same time, national sentiments within the boundaries of a nation-state or in communities which reach beyond national frontiers but use a common language, and share common historical traditions, still persist; indeed, they are growing ever-stronger. The change of regime not only brought about internal revival, but also coincided with the restoration of Hungarian sovereignty. “Russians go home!” was the first slogan; a happy separation from the East, an expectant turn towards the West. Western exports and imports were becoming more and more significant. Plenty of foreign capital was flowing into the country. Hungary joined NATO in 1999, and became a member of the European Union in 2004. In both cases, the intention to join was confirmed by a referendum, and in the campaigns leading up to these all the parliamentary parties, Fidesz among them, encouraged their followers to support the move. Although counter-opinions have always been present and voiced, for twenty years the direction of changes in foreign policy remained unambiguous. Hungary must be an organic part of Europe: it must unambiguously belong to the Western world; it must further strengthen the links binding it politically, economically and culturally to the West. The year 2010 saw a peculiar U-turn in this area as well: unambiguity has been replaced by ambiguity. This emerges mostly in the rhetoric of official statements. Leading politicians grieve at public meetings about the crisis of world-wide capitalism and Western civilization. The leaders of the regime make use of the anti-EU, anti-American atmosphere; sometimes they go as far as to compare directives from Brussels with the pre-1989 dictates of Moscow. But if yesterday there was talk of the emasculation of the West and of the great things to be expected from the East, today’s discourse will be just the opposite. Orbán is proud of his Janus-face, and considers it the sign of his political shrewdness. The content and tone of the words change, depending on whether they are intended for the Party faithful or spoken in Munich or Vienna at a conference for businessmen. It is hardly surprising that both followers and opponents, both Hungarian and foreign observers, are mightily confused. In the world of foreign policy and diplomacy official or semi-official statements can carry a lot of weight. Hungary is still member of NATO and the European Union; there has never been the slightest hint of any intention to leave either body. The Hungarian government is happy to receive the plentiful financial support that flows from the EU; the only thing it insists on is full control over its distribution. (We have already mentioned the real motivating forces and intentions which govern state allocations.) At the same time the representatives of the ruling political regime regularly support Euroskeptic declarations. The Hungarian diplomatic corps resolutely attempts (without much success) to establish business relations with various Asian autocracies and dictatorships, from Azerbaijan, Kazakhstan, Uzbekistan and the Arab Sheikdoms to Vietnam and China, pointing out that other countries do the same. This is purely about business; taking a stand for democracy and human rights is another issue. But they sometimes ’rise above’ this point: recently Orbán called Azerbaijan a “model state” when its dictator was on an official visit to Budapest. Understandably, other countries take the keenest interest in Hungarian-Russian relations. As we noted earlier, the present Hungarian and Russian forms of government share several features; in this respect both regimes belong to the same subset of autocracies. But now we are not focusing on this similarity, but on the economic connections and relations in foreign affairs between tiny Hungary and huge Russia. In this relationship, how far can the sovereignty of Hungary be maintained; to what degree is it committed now and for the future to its Russian partner? The corollary is another question: how far do these present tendencies endanger Hungary’s commitment to the European Union, to NATO, to the Western world? In order to be able to answer the question, we would need, for example, to know more of the conditions under which in January 2014 the Hungarian and Russian governments reached an agreement over the expansion of the largest Hungarian power plant, the Paks nuclear power station. 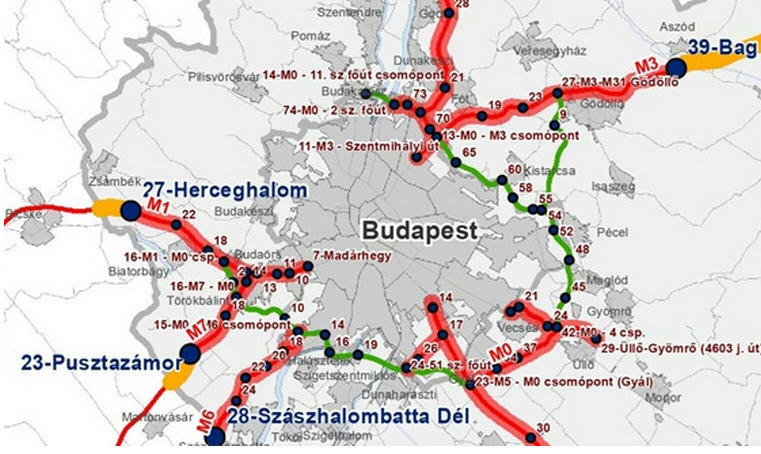 I am not in a position to judge whether this large-scale expansion of Hungarian nuclear power capacity is justified, and if it is, whether the Russian proposal was the most advantageous in technical, financial and geopolitical terms of the possible alternatives. What many people in Hungary and abroad object to, and with good reason, is the way in which the decision was brought. It was not preceded by public debate among experts; the government’s plans were pushed through the parliamentary law factory without the least publicity. In this crucial issue, which will have a deep impact on the lives of many future generations, on European integration, on the foreign affairs of the country, on its commitments to its allies, the government confronted the public with a fait accompli. Reflecting on the relationship between Hungary and other countries, the following question must be considered: what can Hungarians who worry about the U-turn, who fear for democracy, for the rule of law and for human rights expect from their foreign friends? A new development may be followed by cries of: “the West won’t put up with any more of this”. I am afraid many people nourish false hopes. The learning process is painfully slow; it takes years for foreign observers to realize there is anything wrong, and even longer before they put the different elements of the phenomenon into the right context. And comprehension is only the beginning, what else is also needed if recognition is to be followed by some kind of action? This is a task that international organizations are not used to; they are at loss as to how an allied state can be forced to abide by the rules of democracy. Not many means are available. The European Union is unprepared for a situation where one of its members keeps turning against the value system and formal and informal norms of its community. And let us not forget that Hungary is only one small point on the map of the world; conflicting interests influence the motion of political forces. The special interests of countries, political groups, social classes and professions pull the main actors in many different directions. Threatening situations more important than the Hungarian one have proved impossible to solve reassuringly by peaceful agreements. I have left the survey of the changes which have taken place in the ’ideological sphere’ to the end. A fundamental characteristic of communist dictatorship is the existence of an ‘official ideology’. The roots of its ideological history go back to Marx and Lenin, its terminology comes from the language of Marxist-Leninist party seminars. The communist party kept it up-to-date, and adapted it to the propaganda needs of whichever party line prevailed at the time. The citizen, especially the ‘cadre’ with a role in the system, was obliged to accept the ideology; he had to articulate it both verbally and in writing. Following the fall of the old regime, the same main direction of change unfolded in this sphere too: the dominance of ‘official ideology’ was replaced by pluralism in the ideological world. Compared to this main tendency, we can observe a U-turn here too. The government strives to limit and discredit the principle of pluralism. It tries to force on society those theories, beliefs and norms of behavior that it considers the only acceptable dogma. First of all, it vigorously established institutions which promote the execution of the central will. For the world of artists, pluralism and diversity are essential elements. Accordingly, in free societies many kinds of associations and unions, schools and groups coexist side by side, competing or even fighting with each other. The regime which seized power in 2010 selected a small group and invested it with powers that would be unimaginable in the West. Their main organization is the Hungarian Academy of Arts (Magyar Művészeti Akadémia). Other organizations and groups do still exist, but the name of this privileged body appears even in the constitution. It was given one of the most beautiful palaces in the capital as its headquarters, and made responsible for distributing the majority of publicly-funded cultural grants, as well as most awards and marks of recognition which come with financial rewards. In the scientific world, the situation is similar. The Hungarian Academy of Sciences boasts a long history, and though its independence was severely curtailed by the party state under communism, its autonomy strengthened after the change of regime. It used to exercise considerable influence over decisions about which research projects should be funded by the state, through an institution which, like the American National Science Foundation, relied on expert opinion. Now, however, centralization has taken place here too. The National Innovation Office (Nemzeti Kutatási, Fejlesztési és Innovációs Hivatal), a leading state organization, was established. The Academy and other scientific organizations might try to express their opinion before final decisions are taken, but the days of a decentralized, professional and civil approach to funding allocations are over – the president of the office has sovereign decision-making powers. And who is that president? None other than the minister of education from the first Orbán government. Turning to the sphere of education: the change of regime made the emergence of a real text-book market possible. The writers and publishers of school books could compete with each other; schools, or even individual teachers, could decide which books to use. Right now, competition is being abolished here too: a mammoth state text-book publishing house has been set up and granted what is effectively a near-monopoly. What ideas is this increasingly centralized, nationalized, standardized machinery trying to promote? A return to the past is perceptible here too; not to the previous regime with its Marxist-Leninist ideology, but to an earlier ideological past. The official ideas of the pre-1945 Horthy period are being revived in various forms, with increasing strength. It is impossible to describe these with a handful of concise expressions such as nationalism, chauvinism, ethnic or religious prejudice or a conservative view of the family, because they appear in a variety of shades. Official politicians never make open and extreme declarations that would offend the ears of the civilized world; there are, rather, many covert hints and indirect expressions. But in that muted music, the marching tune for boots tramping out the same rhythm can be heard. To the ears of my generation the sound is familiar and frightening. The images of cultural and academic life and of the world of ideas that I have highlighted here dovetail with the general description of the present-day Hungarian system, which was summarized in an earlier section of this article. This sphere too bears the mark of an in-between state that is ‘neither democracy nor dictatorship’. The regime is trying to encroach in an increasingly aggressive fashion. Luckily there are large numbers of writers, poets, musicians, film-makers, artists, scientists, teachers and free-thinking intellectuals who will not allow themselves either to be intimidated or to be bought by money and rewards, and who protect their intellectual autonomy. Any visitor to Hungary can testify that intellectual life is thriving: great artistic works are born and significant scientific advances are made. When I was giving lectures in the USA on a delicate and complicated situation, during the post-socialist transition, I was always asked the question: what should be done? What can we do? I admire and respect this readiness to act, but it is not my task to answer the question. My paper solely aims at revealing the situation; I wished to contribute to our American and other foreign friends’ better understanding of the Hungarian scenario. What does the future hold for Hungary? One of the theories of democracy, linked mainly to the name of Joseph Schumpeter, deserves close attention. It does not dwell on how far a certain form of government expresses the ‘will of the people’, or at least of the majority. It considers democracy primarily as a procedure which enables the people to get rid of a government, not through the murder of a tyrant, not through conspiracy, military coup d’etat or a bloody popular uprising, but in a peaceful and civilized way, through elections which are well defined in legal terms, with many competing parties. The feasibility of dismissal is not a sufficient condition for a viable democracy, but it is a necessary one: it is the minimum condition. It will be some time before we can say for sure whether this minimum condition is met or not. In Sweden it took forty years before the social-democratic government was dismissed at the 1976 elections. In Britain the conservative party ruled for eighteen years, from 1979 to 1997, before it was voted out of office. The historians of the future will give a final answer to the question of whether the minimum conditions of democracy are met in Hungary or not. However, many things are already clear. Viktor Orbán and his party have ‘cemented themselves in’ – to translate an expression which has become commonplace in Hungary. The repeated modifications made to election laws were intended to favor a Fidesz victory, or rather, to make it an absolute certainty. Should the need arise, the laws can be further modified without any hindrance. Fidesz was prepared for the unlikely but not impossible event of its failing to win a parliamentary majority at the elections. The mandates of many key positions, most importantly that of the chief prosecutor, the president of the republic, the head of the central bank, of the audit office and of the judicial office, extend beyond the current parliamentary cycle; they can all sit tight , even if the opposition wins. The Fiscal Council, a body appointed by the present government, but which would remain in office even in case of an election defeat, has not only an advisory role but also the right of veto over the budget submitted by a new government, and if that veto is used, the president of the republic may dissolve the parliament and call for new elections. In other words a few hand-picked men loyal to the present government would be able to overturn the next government. All of this leads to the logical conclusion that it would probably be extremely difficult to effectively dismiss the government at parliamentary elections. In this sense, the situation that has emerged is nearly irreversible. Historical experience shows that an autocracy can only be brought down by an ‘earthquake’ that rocks the very foundations of the system. Other future scenarios are also possible. The great events of history cannot be predicted on the basis of mathematical probabilities; every constellation is unique and unrepeatable. The situation could turn out a lot worse than today. The present Fidesz autocracy could react to the growing protests by hardening the repression. Or another way of events is also possible. Jobbik, the party of the extreme right, already represents a significant force; in more than one city its candidates have been elected as mayors. They speak undisturbed in parliament and in the street. What would happen if in a future election Fidesz did not manage to win a parliamentary majority? Would they be prepared to make a coalition with the extreme right? There is a historical precedent: towards the end of the Weimar republic the moderate right-wing conservative party entered into a coalition with Hitler’s party; together they constituted a parliamentary majority. At the same time, favorable scenarios are not impossible either. What if more moderate groups within the ruling party are getting the upper hand, who are ready to stop on the wrong track and turn back, in the direction to democracy and the rule of law? What if the opposition pulls itself together? What if new political movements emerge and win over millions? What if somehow, in spite of an electoral system which almost guarantees the defeat of future democratic forces, the tables turn? Let us not give up hope. The printed text here contains very few footnotes. Further footnotes as well as a list of sources on the topic, in both English and Hungarian, will be available in a Web version of this article, available on the authors website: http://www.kornai-janos.hu. A few months after Fidesz took over the government I wrote an article entitled “Taking Stock”(“Számvetés”), which gave a summative overview of the main characteristics of the changes that had already taken place and which could be expected. Two volumes in Hungarian, edited by Bálint Magyar, were published under the title The Hungarian Polyp – The Post-Communist Mafia State. The text here contains very few footnotes. Further footnotes as well as a list of sources on the topic, in both English and Hungarian, will be available in a later Web version of this article. The spectacular new projects inaugurated with pompous ceremonies by political leaders are mostly financed by European Union funds or are established by multinational companies. About half of the seats are divided among the parties in direct relation to the proportion of the votes. The other half are allocated in every constituency following the ‘winner takes all’ or ‘first past the post’ principle best known in the British system. That secures a large number of seats for a party which has even a small relative advantage over their rivals in several districts. Compare these figures with German data from 2013. The CDU/CSU received 29.7 per cent of the vote (41.5 per cent of those eligible actually voted). This is only slightly lower than the Fidesz results. But the actual proportions of votes are represented by parliamentary proportions in the Bundestag. Thus, Merkel did not have a majority, and a coalition with the Social Democrats is governing that country. In the related debates in Hungary, referring mostly to international sources, diverse terms have been in use, for example, ’managed democracy’, ’Führer-democracy’, or ‘elected despotism’. A characteristic scene of the ’peacock dance’ is the duplicity shown by Fidesz and the government towards Jews. More than once the government has emphatically declared that it will not tolerate anti-semitism, and if necessary it will defend its Jewish citizens against any kind of attack. At the same time several government measures gravely profane the painful historical memories of Hungarian Jews. For example, it is falsely suggested in various ways that the deportation of hundreds of thousands of Hungarian Jews was forcibly imposed by Nazi Germany, while in fact Horthy’s state machinery was actively involved in it. A noteworthy exception: the Speaker of the parliament, a Fidesz member, at one point publicly referred to the possibility of ”backing out” of the EU. The Orbán government and RTL Group: a cease-fire? Soon enough it will be a year since the Orbán government decided to levy an exorbitant tax on the largest and most profitable commercial television station in the country, RTL Klub. I wrote extensively about the tug of war between the Hungarian government and the German-owned station. According to rumors, the government plan was to squeeze the station’s owners into selling and then have the station be purchased by some “well-deserving,” meaning pro-government, individual or individuals whose newscasts would be as lopsided as those of HírTV and the state-owned MTV. Apparently, RTL was not ready to sell, so the government had to settle for the second largest commercial station, TV2, which was eventually sold to a shadowy group of people. The special levy that specifically targeted RTL Klub was intended as a form of punishment. Knowing Viktor Orbán’s warped psyche, I’m sure that this story is more than mere rumor. So, the war began. RTL Klub coughed up the money. What else could they do? But they paid the government back many times over. Their newscast, which used to consist of short, mostly tabloid items and police reports, was extended to an hour with a heavy emphasis on political news. Suddenly the dirt that emerges daily around this government could be seen on a commercial station’s evening news, watched by 1 million people as opposed to the state television’s propaganda news with its 400,000 viewers. The people who in the past had watched RTL Klub for its “entertainment lite” programming suddenly were confronted with the kind of news that earlier had never reached them. The result was stupendous. Although some commentators wondered whether RTL Klub’s viewers would be turned off and would switch to TV2, exactly the opposite happened. RTL Klub’s viewership grew substantially. Political analysts are convinced that Fidesz’s tremendous loss of popularity is due, at least in part, to RTL Klub’s newscasts. 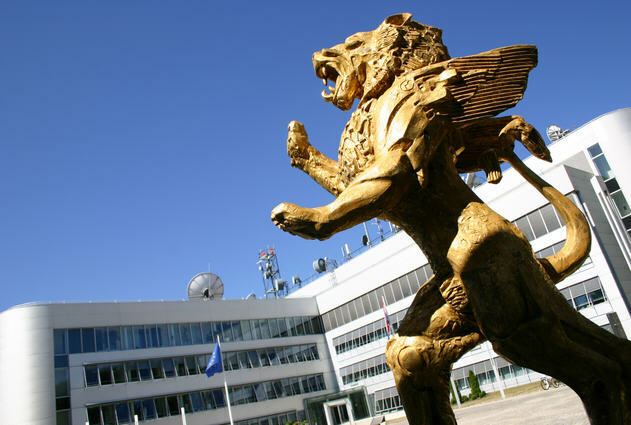 From the beginning RTL Klub planned to take its case to Brussels because, while RTL Klub’s share of the Hungarian advertising market is 13.5%, it is obliged to pay 90% of all revenues received from taxes on advertising. Indeed, last October RTL Klub lawyers turned in an official complaint to the European Commission. Yet for months we heard nothing. Then, on January 19, Népszava reported that some Fidesz politicians would be very happpy if Viktor Orbán “made peace” with RTL Klub. The paper added that “according to some sources, the Orbán government is counting on ‘a cease-fire’ before the arrival of Angela Merkel” in Budapest on Monday. A week later 444.hu learned that János Lázár had already had several conversations, not with the Hungarian CEO of RTL Klub but with Andreas Rudas, director of East European operations, and Guillaume de Posch, CEO of the international RTL Group. Earlier they met in Munich and last week in Budapest. 444.hu claimed to know that they will meet again in Berlin sometime this week. The government allegedly wants to end the war with the German firm, which complained about its treatment in Hungary to Angela Merkel herself. The paper also seemed to know that the top management of RTL Group was ready to make a deal but that Dirk Gerkens, the man who is heading the Hungarian RTL Klub, refuses to compromise. Gerkens was indeed outspoken and combative, which raised the ire of some true believers. Gerkens told Bloomberg that he received threats of violence, delivered via friends and e-mails. He added that he moved his family out of the country, left his apartment for a hotel in central Budapest, and hired bodyguards. Meanwhile, in the last few hours HVG learned that the Orbán government’s decision to retreat on the 50% levy on RTL Klub resulted from diplomatic pressure: both the German chancellor and the prime minister of Luxembourg, where RTL Group is headquartered, strongly suggested to Viktor Orbán that he settle his dispute with Europe’s largest media firm. Apparently, contrary to Népszava‘s claim, negotiations have not yet ended and the deal has not been sealed. Lázár, who is negotiating for the Hungarian side, admitted that his job as negotiator has been very difficult because “the prime minister insists on upholding the advertising tax.” For Orbán “this is a question of principle.” But it looks as if principle will have to be sacrificed in the face of diplomatic pressure and the hopelessness of Hungary’s case if the RTL Group actually sues. It seems that the prime minister will sketch out changes in the advertising tax tomorrow morning during his regularly scheduled radio interview, with details about the exact figures to be revealed later. So, another defeat, another retreat. These are hard times for Viktor Orbán. Moreover, I suspect that the newscasts of the Hungarian RTL Klub will not change substantially in the future. RTL Group cannot afford it. Neither can Viktor Orbán. Today I will try to squeeze three topics into one post. Two will be short, more like addenda to earlier pieces. The third subject of today’s post is new: the stormy meeting of the European Parliament’s Committee on Civil Liberties, Justice and Home Affairs (LIBE) on Hungary. As one of our readers pointed out, György Konrád incorrectly said that the János Batsányi Library was renamed after Elemér Vass, a lesser known Hungarian painter, that it was instead named after Albert Wass. The reader was correct. Moreover, what Konrád left out of his brief story at the very end of his interview with Olga Kálmán on “Egyenes beszéd” was that the name change actually took place in 2006. Tapolca’s town council has had a solid Fidesz majority for years. Why the city fathers decided in 2006 that Albert Wass was a more important representative of Hungarian literature than János Batsányi is a mystery to me. Anyone who’s unfamiliar with the works and politics of Albert Wass should read my summary of his activities. A friend who lives in the United States happens to be in Budapest at the moment. Her family’s apartment is very close to the Ferenc Liszt Academy, so she witnessed the preparations for the arrival of Viktor Orbán at the Academy, where he delivered a speech at the unveiling of the Hungarian “miracle piano.” According to her, there was no parking either on Nagymező utca or on Király utca. The police or, more likely TEK, Orbán’s private bodyguards despite being called the Anti-Terror Center, set up three white tents equipped with magnetic gates, the kind that are used at airports. The distinguished guests had to go through these gates before they could share the same air as Hungary’s great leader. By six o’clock the TEK people, in full gear, had cordoned off a huge area. Hungary’s prime minister is deadly afraid. Earlier prime ministers never had a security contingent like Viktor Orbán has now. I remember that Ferenc Gyurcsány used to jog with scores of other ordinary citizens on Margitsziget (Margaret Island) with two guys running behind him at a distance. Well, today the situation seems to be different. The announced agenda was “The Situation of Human Rights in Hungary,” specifically the pressure the Hungarian government has been putting on nongovernmental organizations and civic groups, especially “Okotárs Alaítvány,” about which we have talked at length. That’s why three civic group leaders were invited from Hungary: Tamás Fricz, founder of the Civil Union Forum; Veronika Móra, director of Ökotárs Alapítvány; and Attila Mong, editor of Atlatszo.hu. In addition, two experts were present: Barbora Cernusakova from Amnesty International and Anne Weber, advisor to Nils Muižnieks, commissioner for human rights of the Council of Europe. 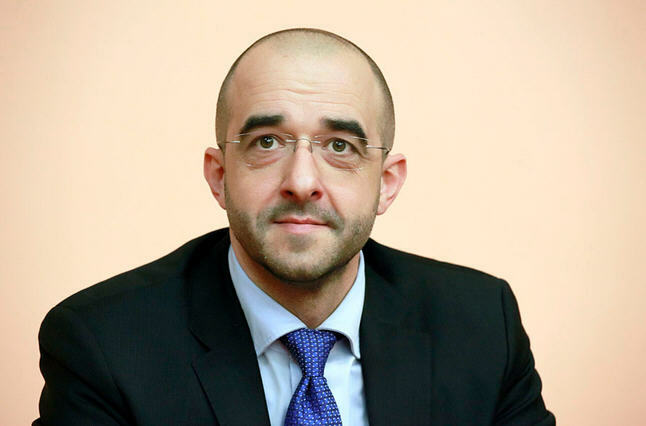 The Hungarian government was represented by Zoltán Kovács, international spokesman from the prime minister’s office. Although the main topic was the Hungarian government’s attack on civic organizations that are critical of the Orbán government, during the two and a half hours speakers addressed other human rights issues as well: media freedom, censorship, homelessness, and even Viktor Orbán’s anti-immigration statements. The first half hour was spent on procedural wrangling between the European People’s Party members of parliament, including naturally the Fidesz representatives, and the rest of those present. Kinga Gál (Fidesz) presented their grievances. The EPP representatives wanted to invite at least three civic groups close to the Hungarian government, arguing that after all in addition to the two NGO’s critical of the government, Ökotárs and Átlátszó.hu, there were two international organizations (Council of Europe and Amnesty International) represented. They failed to convince the majority, however, and therefore only Tamás Fricz was left to represent the NGO that organized two large pro-government demonstrations in the last few years. Tamás Fricz opted not to attend. I suspect that his declining the invitation in the last minute was part of an overarching strategy to make the hearings totally lopsided. Everybody on one side and only a government spokesman, Zoltán Kovács, on the other. Such a situation could easily discredit the proceedings. However, as it turned out, it was Zoltán Kovács himself who was discredited, though not before the EPP MEPs had walked out of the hearings. I will not go into the content of the speeches since the readers of Hungarian Spectrum are only too familiar with the problems that exist in Hungary today as far as human rights issues are concerned. Instead, I would like to concentrate on Zoltán Kovács’s representation of the Hungarian position. All the participants delivered their speeches in English with the exception of Zoltán Kovács, whose English is actually excellent, but, as he admitted later to György Bolgár, he decided to speak in Hungarian so his words wouldn’t have to be translated. In brief, Kovács’s message was addressed not so much to those present at the meeting but rather to Hungarians at home who could admire his effective defense of their government. The trouble was that what he considered to be simply a vigorous defense turned out to be aggressive and disrespectful. Calling the hearings of an EP committee “the fifth season of a soap opera” did not go over well, to put it mildly, especially since he added that “by now neither the actors nor the script writer knows what means what and what they want to say.” He called the charges against the Hungarian government “half truths or outright lies” and said that the members present were prejudiced against his country. The reaction was predictable. Many of those who spoke up reacted sharply to Kovács’s speech. They were outraged that Kovács talked about the European Parliament, which “represents 500 million inhabitants of the European Union, in such a manner.” It was at this point that Péter Niedermüller (DK) told Kovács that as a result of his behavior “you yourself became the protagonist of these hearings.” Kovács later complained bitterly that Niedermüller spoke out of order, which in his opinion besmirched the dignity of the European Parliament. A few years back Kovács served as government spokesman, but after a while he was replaced by András Giró-Szász. Viktor Orbán remarked on that occasion that “it is time to see some smiles” when the spokesman makes his announcements. The remark was on target. Kovács would resemble Rasputin if he let his very dark beard grow. One has learned not to expect smiles from the man, although on official photos he tries hard. After his removal from his high-profile position he spent some time in the ministry of human resources responsible for, of all things, Roma integration. But last year he was reinstated as “international spokesman.” I don’t know why Zoltán Kovács was considered to be more fit to be a spokesman of the Hungarian government on the international scene than he was at home. His reception in Brussels was not exactly promising. The Parisian terrorist attacks will have, I fear, a negative effect not only on Hungary’s immigration policy but also on freedom of speech and freedom of the press in the country. At least this is the way things are looking at the moment. In an earlier post I recalled Viktor Orbán’s long-standing belief that Europe as a whole and Hungary as part of the European Union should remain “European.” European in this case means ethnically and religiously pure. Until last week, however, we didn’t know that this sentiment was actually reflected in current government practice. It was on Sunday afternoon, before Viktor Orbán’s by now infamous press conference railing against immigration to Europe, that I realized that strict anti-immigration policies have been in effect ever since 2010. They were introduced quietly, under cover so to speak. Antónia Mészáros, a reporter for ATV, had an interview with Zoltán Balog on Friday afternoon, which didn’t air until Sunday, in which he admitted that the Orbán government has been conducting an anti-immigration policy all along. What’s worrying is when politicians start whipping up the rhetoric. `Hungary for Hungarians,’ – when it starts to become immigration must be stopped. Then you go into you’ve crossed the line. It’s no longer a debate about whether immigration is good or bad, it becomes one to whip up a ferment. History is replete with examples where this has happened, and anybody who tries to deny an innocent-sounding comment for what it could turn into in the future is simply misguided. As it stands, four out of ten Hungarians share Viktor Orbán’s and his government’s point of view. Tárki, a Hungarian polling firm, has been keeping track of Hungarian xenophobia for some time. In the decade between 2002 and 2011, 24% to 33% of the population were anti-immigrant. After that date the anti-foreign sentiment shot up to 40%, which is not surprising given the rhetoric of Viktor Orbán and his government. Fareed Zakaria, the American reporter who came up with the label “illiberal democracy” for countries like Turkey or Hungary, wrote an article in The Washington Post on the subject of blasphemy. 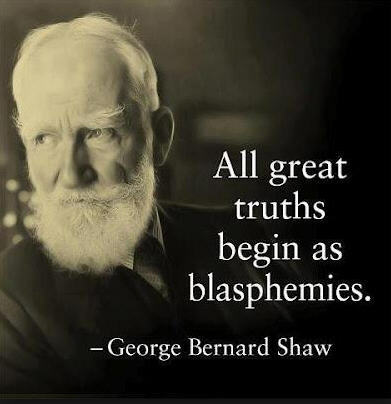 In it he pointed out that the Koran “prescribes no punishment for blasphemy.” However, as we know, today many Muslim countries have harsh laws against blasphemy. It seems that Péter Harrach finds this practice attractive. But Harrach doesn’t have to look to current Muslim practice for a model. As Zakaria points out, only “one holy book is deeply concerned with blasphemy: the Bible.” The Old Testament is full of stories of blasphemers who receive harsh punishment for their sin. It seems that Harrach wants to lead Hungary all the way back to Old Testament times. This morning representatives of five parties (Fidesz, KDNP, Jobbik, MSZP, LMP, Együtt) got together to discuss the fight against terrorism. According to Antal Rogán, the parties agreed that “the European Union cannot defend its member states” and that therefore they must formulate and enforce their own strategies. “Political correctness by now is not enough.” Fidesz suggests that “certain public symbols and values should receive special protection.” Rogán made it clear that “religious symbols” would certainly be covered by the new law. I wouldn’t be surprised if among Hungarians’ “common values” we would also find national symbols. Or even political offices. Or high dignitaries of the land, like the president or the president of the house. There are some analysts, for example, Gábor Török, who are convinced that the terrorist attack in Paris came at the right time for Orbán, whose party lost another 2% in support last month. According to Ipsos, some of the lost voters drifted over to Jobbik, and therefore the Fidesz top leadership decided to turn up the volume on far-right talk. With this strategy they are hoping to regain solid control of the right. Maybe, but I wouldn’t be so sure. According to some fairly reliable sources, Fidesz leaders are not panicking over their loss of popularity at the moment. In their opinion, the current level of support is still high enough for the party to bounce back. Demonstrations will end soon, and people will forget about their grievances over the introduction of toll roads and the Sunday store closings. As opposed to Török, I don’t believe that Orbán’s outburst in Paris has anything to do with his party’s popularity. I think that he is convinced of the ill effects of immigration and is happy that he found an opportunity to take up arms against it, alone if necessary, quite independently of the European Union. He most likely explored how far he can go and came to the conclusion that he can introduce a law that would effectively stop immigration to Hungary and that he could also restrict freedom of the press as long as the law does not differentiate between religions. Therefore, I fear that Hungarian journalists can look forward to greater restrictions to their freedom. Dissension in Fidesz: Is Viktor Orbán’s leadership safe? There is no question, the Orbán government is in trouble. And when there is trouble there is dissension. Of course, this is not the first time that Viktor Orbán’s political edifice has stood on shaky ground, but this latest quake has been the most serious of all. In the middle of 2011 dissatisfaction with the government was considerable. Fidesz’s popularity in the polls was almost as low as it is now. Most of the government’s decisions were unpopular and there was genuine fear that Orbán’s new system of national cooperation would inevitably lead to an authoritarian state. By the end of 2011 sizable crowds could be called out to demonstrate against the government and for the republic. During these stressful times rumors circulated that people close to Viktor Orbán were voicing their concerns and suggesting caution. Let’s not irritate the population further with unpopular decisions. Although it is normally difficult to learn much about the internal workings of Fidesz, it seems that several people raised their voices against Orbán’s strategy at the Fidesz congress held in July 2011. Criticizing the prime minister were László Kövér, Tibor Navracsics, and Zoltán Pokorni. Today these people have almost no say in the running of either the party or the government. Zoltán Pokorni, although on paper still vice-president of Fidesz, is only the humble mayor of a Budapest district. Tibor Navracsics, after being first minister of justice and later minister of foreign affairs, is today a marginalized EU commissioner. Kövér, although he rules the House with an iron fist, has no significant influence on the party. 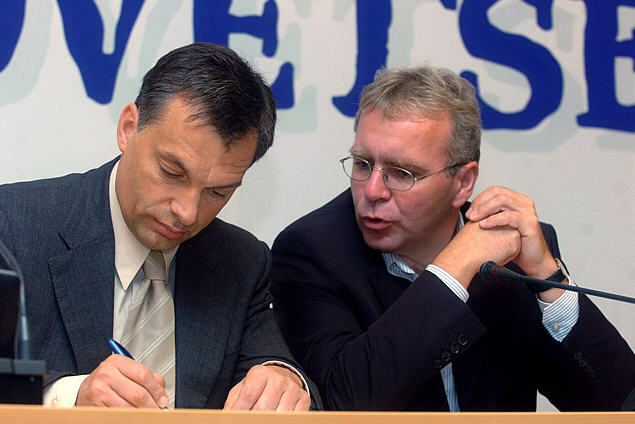 By the end of 2012 Viktor Orbán silenced his critics with his masterstroke of lowering utility prices across the board. The unpopular decisions continued, but the majority of the Hungarian people were disarmed by a few thousand forints worth of savings on their utility bills. And those who at the beginning of the year were demonstrating against the government retreated, acknowledging the hopelessness of their cause. Fidesz’s popularity bounced back. 2014 began as a great year for Fidesz. After all, it easily won three elections within a few months, largely because of an unfair election law and the lack of a viable political alternative. I’m sure that the current Fidesz leadership–Viktor Orbán, János Lázár, Antal Rogán, and Péter Szijjártó–never imagined that by October a storm of anti-government sentiment would be unleashed. In the past, every time the party was under fire the answer of Viktor Orbán and his closest associates was that the prime minister’s strategy had always proved correct in the long run. Surely, this gifted magician will shape the future as well. But the situation today is different. Orbán is in trouble not only because of domestic unrest but also because of his failed foreign policy initiatives. Some of his associates realize that he is unacceptable to Hungary’s allies, the European Union and the United States. And thus ostracized by his allies, Orbán endangers his country’s standing in the western world. Orbán’s position is shaky not only at home but abroad as well. And his critics have been much more outspoken than ever before. One big difference between the earlier times of trouble and now is that the sharp exchanges between Orbán and his closest associates on the one hand and their critics on the other are now out in the open. Earlier they took place in private and the public learned about them only second-hand. The critics have become emboldened. The brewing palace revolution began with a fairly innocuous sentence by Zoltán Pokorni about the flaunting of wealth on the part of people like János Lázár, Péter Szijjártó, Lajos Kósa, András Giró-Szász, and the mysterious Árpád Habony. János Kövér, most likely independently from Pokorni, expressed his misgivings about these people “living in great style.” Perhaps, he suggested, it would be a good idea to hold back a bit. That caused János Lázár, whose Rolex watch and whose gift of a 60-million forint apartment to his 10-year-old son was one of the reasons for public outrage, to turn against Pokorni in an interview he gave to Figyelő, a weekly that appeared yesterday. Here is the exact quotation: “A political veteran should think twice before, either out of personal resentment or political considerations, he weakens us because he at the same time weakens or executes himself.” Lázár didn’t mince words: he considers Pokorni’s remark “a stab in the back.” He views the criticism coming from Kövér and Pokorni as a generational clash. These old fogies should realize that their time has passed. His generation, the thirty- to forty-year-olds, is running the show now. 444.hu translated Lázár’s words as a message to the insurgents: those who go against the current leadership have no political future. Kövér did not respond, but Pokorni made a conciliatory statement that he shared with vs.hu. 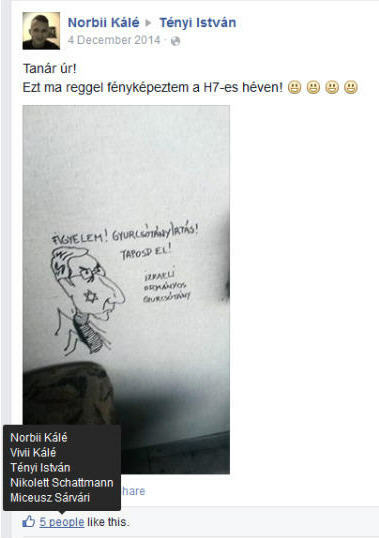 Apparently Lázár’s attack on Pokorni was approved and encouraged by Viktor Orbán himself. Why did Pokorni’s remark raise such a furor in the top leadership? Budapest is full of possible, if mostly implausible explanations. One is that both the United States and Germany came to the conclusion that it is impossible to work with Viktor Orbán and they hope that someone else in the party might be able to replace him. Rumor has it that the American favorite is Zoltán Pokorni, while Germany favors János Lázár. That’s why Lázár reacted so violently to Pokorni’s remarks. To tell you the truth, I don’t believe a word of that story. Pokorni has not been in the forefront of national politics for a very long time and, as far as Lázár is concerned, who in his right mind would want to work with him? Gábor Török, a popular political scientist who has an influential blog, is known to be somewhat partial to Fidesz, but lately he has become more outspoken than usual. He is convinced that all the negative news about the corruption of people like Lázár, Rogán, and Kósa must come from the inside and that Fidesz is “full of Brutuses.” According to him, “there will be no uprising until its leaders are confident that Orbán, after leaving Fidesz, will be unable to establish a party that could win against them.” Once they believe that Orbán is not a political threat, the young Turks will not hesitate for a moment. Well, this opinion might not be terribly off the mark. Török has many friends in Fidesz and is more familiar with the situation in the party than most political scientists of a liberal persuasion. I should mention that Török finds the strained relations between Viktor Orbán and Washington extremely serious. I agree with him. As Török said, Viktor Orbán has no idea how much the Americans really know, not just about his close associates but about his own dealings. And that must be very troubling to him because surely he has been the coordinator of the systemic corruption that has permeated the country, especially since 2010.